Anderson Cooper on Donald Trump’s Bullying Behavior! Yesterday, the number one media story was Donald Trump’s bullying behavior on Twitter of MSNBC’s Mika Brzezinski and Joe Scarborough after they criticized him on their program on Wednesday. Anderson Cooper of CNN uses Trump’s own words to illustrate “how weak” the president is. Here is an excerpt from the CNN website. “After Donald Trump on Thursday hurled insults at MSNBC hosts Joe Scarborough and Mika Brzezinski, CNN’s Anderson Cooper read some quotes about the office of the president. “‘The president of the United States is the most powerful person in the world. The president is the spokesman for democracy and liberty. Isn’t it time we brought back the pomp and circumstance and the sense of awe for that office that we all held?’” Cooper quoted. The book he was quoting: Trump’s 2015 campaign tome, Crippled America: How to Make America Great Again. Cooper then warned against normalizing Trump’s attacks. Cooper has it right. Trump’s behavior is similar to a weak, cowardly schoolyard bully who needs a good beating to learn how to relate to other people. Amazon’s New Echo Show: Next Step for Information Appliances! “…the information appliance is here, sitting on my kitchen counter. It’s called the Echo Show, and it is the latest incarnation of the Echo, Amazon’s voice-controlled smart speaker that has become a surprise hit. The Echo Show is easy to describe; it’s an Echo with a screen, and you control it the same way you do any other Echo — by talking to Alexa, its cheery assistant. 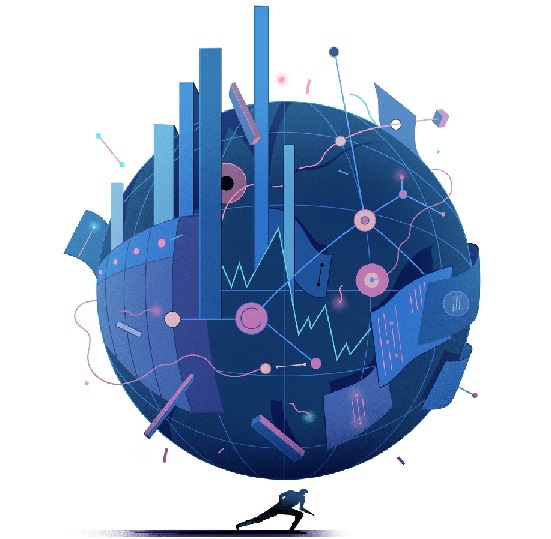 As my colleague Brian X. Chen wrote in his review, the Show is far from perfect; it has some bugs and you get the feeling that Amazon is still searching for a killer purpose for it. One measure of the power of this vision is how quickly Amazon’s rivals are racing to copy it; both Apple and Google have their own takes on the Echo. What’s more, Amazon is far ahead. The Echo is much more useful than Google Home, which was released two years after Amazon’s device, and the Apple HomePod speaker will not ship until the end of the year. Given that lead, the Echo is beginning to look unstoppable. It is well on the way to becoming the operating system for suburbia. I suspect you’re scoffing. The primary knock is that [the Echo Show] does not do a whole lot. This is also the main criticism of the Echo and, now, the Echo Show. These devices can’t do anything you can’t do on your phone, PC or tablet. That’s true, but it also kind of misses the point. You can make toast in the oven, but you have a toaster because it’s designed to perform a specific task reliably and without any fuss. That’s the point of the information appliance, too. There’s a whole lot the Echo Show won’t do. It won’t do email. It won’t do the web. It won’t play first-person shooters. It is emphatically, purposely not a general-purpose computer. But what it does do — play music and videos, make video calls, tell you the news, tell you the time and weather, and shop at Amazon — it does with such surpassing ease that it feels like a magic trick. There are a few reasons for that. One is the Show’s unusual and quietly innovative interface. Dave Limp, Amazon’s senior vice president for devices, told me that when the company was first designing the Show, it tried to use the same interface that it used for its tablet computers. But the team soon realized this didn’t work. 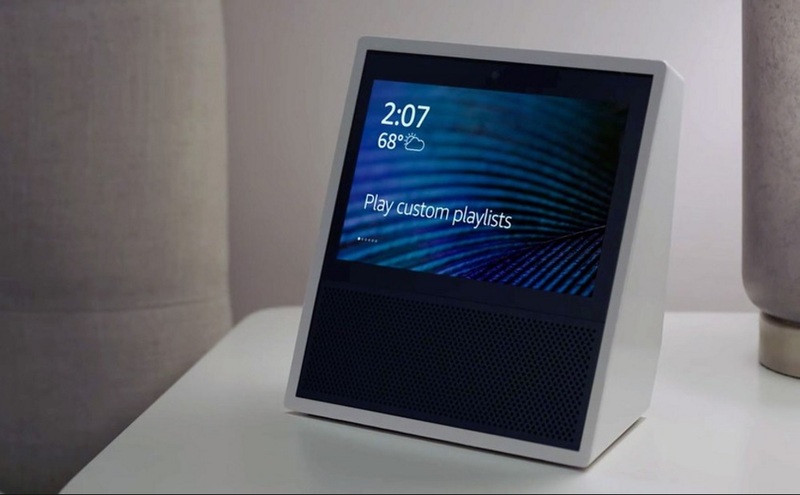 For one thing, the Echo Show is designed to be used just with your voice — the screen adds extra information, but you have to look at it only when you specifically ask for visual information (such as when you want a video). A standard mobile operating system, which is heavily visual, just wouldn’t work. Another reason a tablet interface wouldn’t have worked is that it felt too much like a computer, and one overriding design goal of the Echo and the Echo Show was to hide any relationship to anything computerlike. The Show’s operating system, memory, storage and other specifications are completely hidden from users. The Echo does have a version of apps, known as “skills,” but they aren’t anything like smartphone apps. You install them just by asking Alexa to enable them, and when you want to use one, you just name it. To watch a video, you just ask for the video — you don’t load up a web browser or the YouTube app and then search for it. “It’s a very different mental model than the traditional computer, smartphone or tablet, where you have to think of which app you want to use and then open it and then dive in,” Mr. Limp wrote in an email. The Echo Show has one other advantage over smartphones and tablets: It’s always there in the same spot. Your phone and tablet move around the house. Often they are nearby, but sometimes they aren’t. That uncertainty makes them less useful for the kind of ambient computing tasks the Echo is good at. When you are in the kitchen and need to look up a recipe, you could find your iPad to call it up. But the Echo Show is always there, so you and everyone else at home come to rely on it — you know that when you call out for it, it will always answer. Such communal, stationary devices are not unusual in our homes. All the appliances are stationary and communal, from the fridge to the washing machine. We also have some appliances whose sole purpose is to provide us with information and entertainment — bedside clocks and TVs, for instance. Mr. Limp said these informational appliances provided a “mental model” for the Show’s design, which got me thinking about the expansiveness of Amazon’s ambitions here. The Show has a seven-inch screen. There’s no reason the screen could not be slightly bigger — an iPad-size one that clings to your bathroom mirror, for instance. Or it could be much, much bigger. Jeff Bezos and Amazon again “show” that they are the ones to watch to glimpse technology’s future. Governor Jerry Brown Calls for Starting an Online Community College in California! Governor Jerry Brown has asked Chancellor Eloy Oakley of the California Community Colleges to “take whatever steps are necessary” to establish an exclusively online institution. Other states such as Arizona (Rio Salado Community College) have already established colleges that are exclusively or near- exclusively online. A state with a population as large as California would have no problem attracting enough students to such an institution. David Brooks: Republicans Have No Governing or National Vision! “Most political parties define their vision of the role of government around their vision of the sort of country they would like to create. The current Republican Party has iron, dogmatic rules about the role of government, but no vision about America. Because Republicans have no governing vision, they can’t really replace the Obama vision with some alternative. They just accept the basic structure of Obamacare and cut it back some. Because Republicans have no governing vision, they can’t argue for their plans. Health and Human Services Secretary Tom Price came to the Aspen Ideas Festival to make the case for the G.O.P. approach. It’s not that he had bad arguments; he had no arguments, no vision for the sort of health care system these bills would usher in. He filled his time by rising to a level of vapid generality that was utterly detached from the choices in the actual legislation. Because Republicans have no national vision, they seem largely uninterested in the actual effects their legislation would have on the country at large. This Senate bill would be completely unworkable because anybody with half a brain would get insurance only when they got sick. 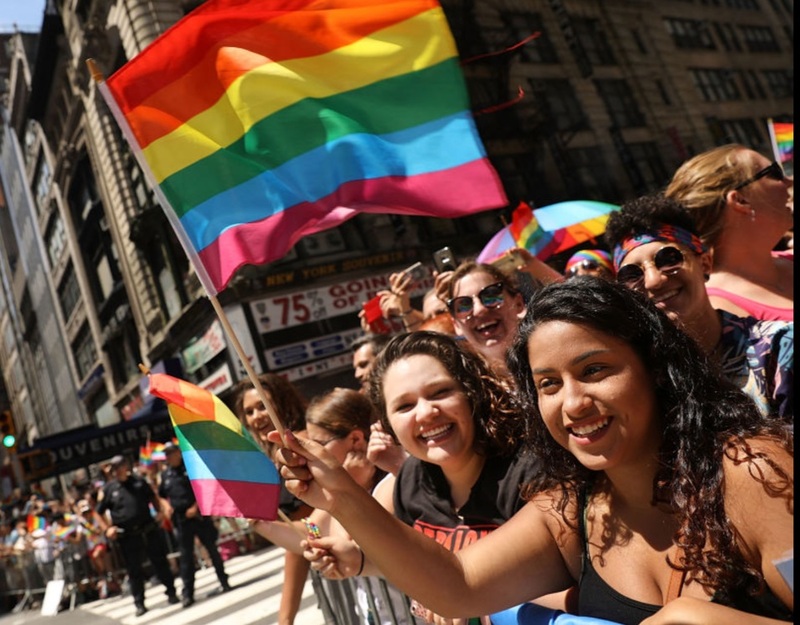 CUNY Spent Over $1 Million a Year on Sponsorships, Donations, and Charities! 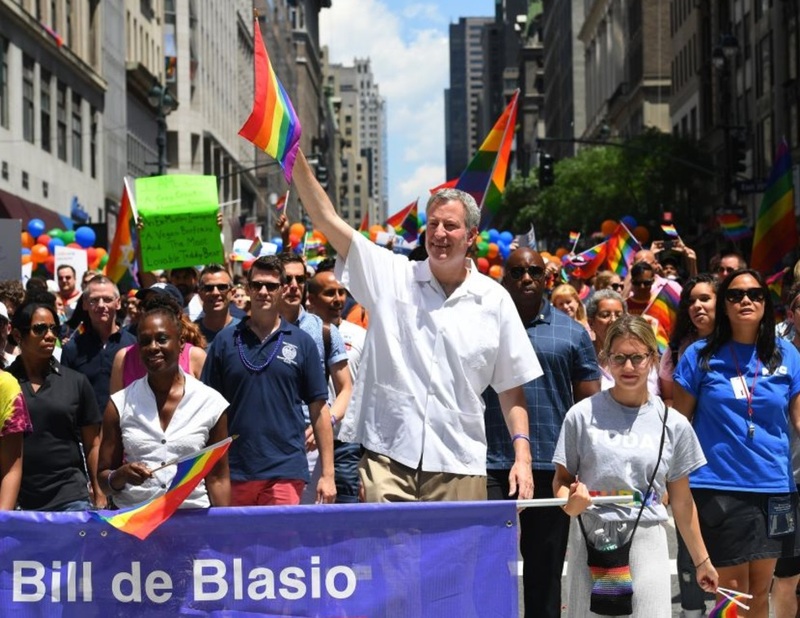 In the fiscal year that ended on June 30, 2015, CUNY, the nation’s largest public urban university system, spent $109,925 on sponsorships for parades like the Puerto Rican Day Parade and the Bronx Dominican Day Parade, according to a CUNY spokesman, Frank Sobrino. It also spent $1.3 million for a variety of activities including buying tables at charity galas, making donations to organizations like the New-York Historical Society and Lincoln Center, and attending breakfasts held by the Association for a Better New York or Crain’s New York Business. Since mid-2013, the spending has totaled $4.3 million, according to a summary provided by the university. Most of that spending has now been halted, Mr. Sobrino said. The university said the money had come from the CUNY Research Foundation, which is already under scrutiny in a federal investigation into the financial dealings of Lisa S. Coico, a former president of the City College of New York. “It was excessive and wasteful,” he added. CUNY has been under a financial watch since problems at the university surfaced last year after The New York Times reported that the 21st Century Foundation, City College’s oldest alumni fund, had paid for personal expenses of Ms. Coico — money that the Research Foundation reimbursed. Ms. Coico resigned in October, and Mr. Thompson asked the state inspector general to investigate the university and its finances. The inspector general released a preliminary report in November, detailing a host of lapses, financial abuses and mismanagement. The CUNY Board of Trustees was scheduled to take the issue up at its June meeting. Kai-Fu Lee on the Threat of Artificial Intelligence! Important concerns that will have to be faced in the not-too-distant future. Pride Parade in New York and Cities Across the Country! 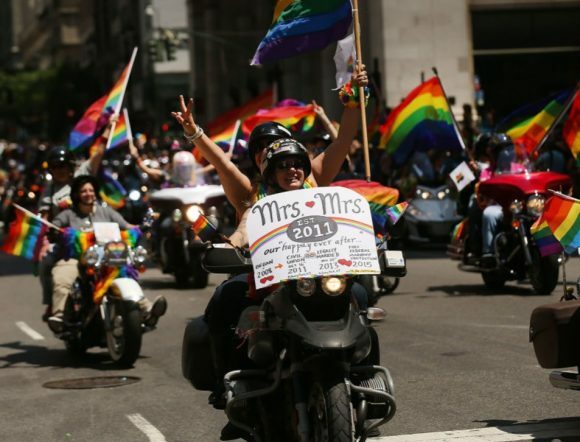 Crowds turned out for Pride marches yesterday in New York and other cities throughout the country. 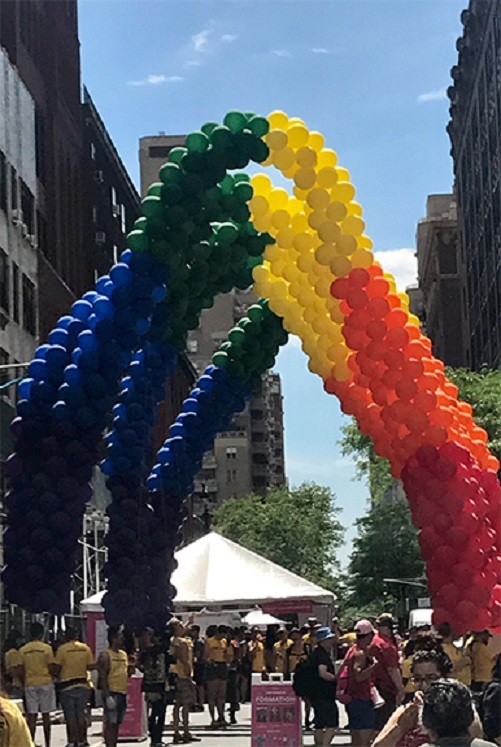 The route in New York was down Fifth Avenue and ended on Christopher Street in Manhattan’s West Village to commemorate the riots that broke out there in 1969 after police raided the Stonewall Inn, in an event seen as a turning point in the gay rights movement. Maureen Dowd: Democratic Party Has No Answer for Trump! “YOU know who is really sick and tired of Donald Trump winning, to the point where they beg, “Please, Mr. President, sir, it’s too much”? The 43-year-old Ryan, who failed to unseat Pelosi as House minority leader last year, says that the Democrats’ brand is toxic, and in some places worse than Trump’s. Which is beyond pathetic. The Republicans have a wildly unpopular, unstable and untruthful president, and a Congress that veers between doing nothing and spitting out vicious bills, while the Democratic base is on fire and appalled millennials are racing away from Trump. Yet Democrats are stuck in loser gear. Trump’s fatal flaw is that he cannot drag himself away from the mirror. But Democrats cannot bear to look in the mirror and admit what is wrong. Democrats cling to an idyllic version of a new progressive America where everyone tools around in electric cars, serenely uses gender-neutral bathrooms and happily searches the web for the best Obamacare options. In the Democrats’ vision, people are doing great and getting along. It is the opposite of Trump’s dark diorama of carnage and dystopia — but just as false a picture of America. Well said! The Democrats have to come up with candidates who have a message and more importantly, know how to win. 120 Health Law and Policy Professors Write Letter Opposing the House and Senate Health Bills! In a letter to the editor of the New York Times, more than 120 health law and health policy professors across the United States believe that the House and Senate health bills will cause “severe, lasting harm to all of us, especially our society’s most vulnerable and the middle class.” Below is the letter as published in today’s paper. We and more than 120 health law and health policy professors across the United States believe that the House and Senate health bills will cause severe, lasting harm to all of us, especially our society’s most vulnerable and the middle class. At a time when we are seeing significant declines in the number of uninsured and inadequately insured in our country, the bills represent a giant step backward. By cutting Medicaid funding, eliminating federal assistance for families securing private coverage, and encouraging individuals to either not purchase insurance or to buy bare-bones coverage, these proposals will result in a less equitable, less accessible system of health care. We are deeply concerned about what these bills portend for women and children. Currently, the United States has the highest rate of maternal mortality during childbirth of any developed country. Despite the urgency to strive for better outcomes, lawmakers have specifically targeted maternal health coverage for cuts. And by shifting more families off Medicaid, children’s access to health care services will decline. The Affordable Care Act protects all Americans from discrimination based on pre-existing conditions, expands coverage for mental health treatment and drug addiction, and fosters preventive care. Millions of Americans have health insurance for the first time, and we are at an all-time low in the percentage of citizens who lack coverage. The reform legislation proposes to wipe away these essential gains. In 1966, the Rev. Dr. Martin Luther King Jr. said to a group of health providers, “Of all the forms of inequality, injustice in health is the most shocking and inhumane.” We agree. Donald Trump Does Not Want Poor People in His Cabinet! Two days ago during a rally in Cedar Rapids, Iowa, Donald Trump commented that he does not want poor people in key cabinet positions. Instead he wants “brilliant business minds.” His disdain for poor people has been his trademark for years. Yesterday the New York Daily News reviewed several of his choicer comments regarding the poor. “President Trump does not want poor people in his cabinet. Or running for office. Or playing golf. But he does want their votes. In fact, he expects poor people to vote for him because they are poor. This is the worldview we know from Trump’s public statements about America’s struggling class — the same group that helped propel his populist campaign into an unprecedented presidential victory. Despite riding to office in large part thanks to blue collar anger at elites, the self-proclaimed billionaire businessman who used to live in a golden Manhattan penthouse has rarely even attempted to hide his disdain for people who aren’t rich like him. Trump’s comments in Cedar Rapids were met with applause!